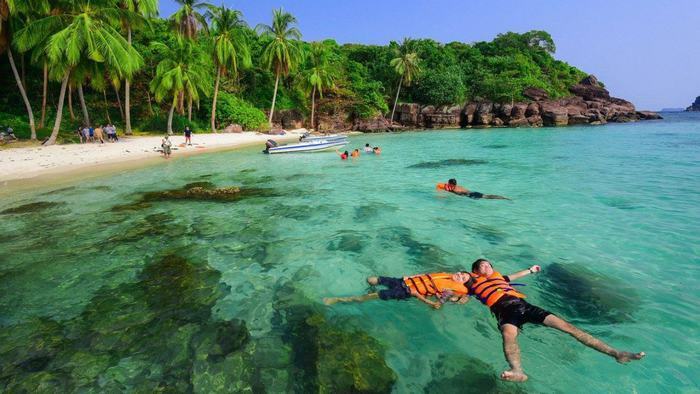 When mentioning to Phu Quoc Island, people will think about the breathtaking landscape with stunning beaches and islands. 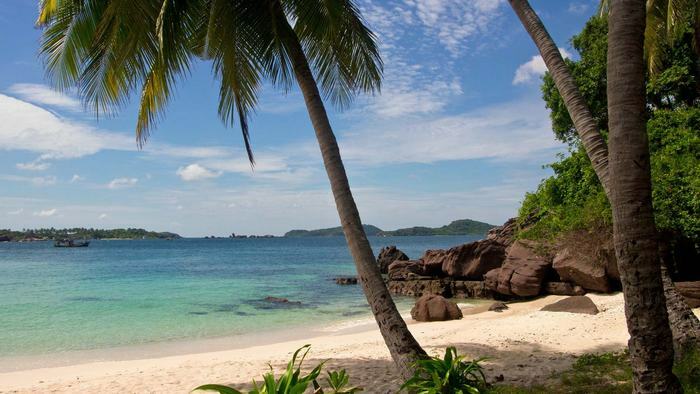 One of the most outstanding ones that tourists cannot miss is An Thoi Island. An Thoi Archipelago is located approximately 30 minutes from An Thoi town including 15 small islands and islets floating on the sea surface of Thailand Gulf. There are many beautiful beaches on the islands that are very suitable for sea lovers. 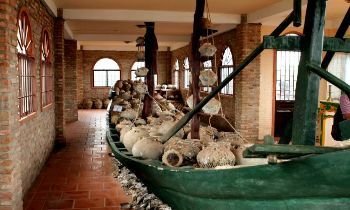 From the mainland of Rach Gia, you can catch a boat in the ferry port to visit An Thoi islands. 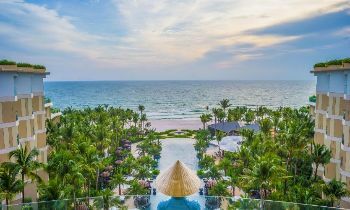 Tourists will easily be overwhelmed by the mysterious charm of An Thoi - the beautiful islands of Phu Quoc island district. It consists of 15 small islands but only 5 islands of An Thoi that have residents. Therefore, nature here is very intact and still retains the pristine wilderness because it is not affected much by people or tourism development activities. An Thoi town is located on the south-east coast of Phu Quoc, this is the second largest town in Phu Quoc island district after Duong Dong town. This destination is very famous for divers because of its numerous gorgeous coral reefs and mesmerizing tropical fish. Tourists coming here are eager to go fishing and boating. In the past, An Thoi used to be a hell on earth where many people were caged and tortured in Coconut Tree prison. This prison was built by the French when they successfully invaded the Indochina peninsula. Then it continuously was used for the political criminals during the Vietnam War. Vietnam war is over for years and now An Thoi has changed a lot. This destination is great for swimming and scuba diving. While diving, you can see bamboo sharks, angelfish, scorpion fish, and specimens of octopus wandering and dancing in the clear sea. This is also home to the rare mysterious dugong which is a large marine mammal. The sea in the An Thoi archipelago is quite calm, some of the water regions are deep, clear while the clear white sand and gentle beaches stretch along the green coconut lines. It is a great paradise for the tourists who love nature and sea. In the deserted islands like An Thoi, you can be in harmony with nature and forget about all the busy modern life. Coconut island or Hon Dua is the closest island to An Thoi town, this pristine beauty of this island is intact which is covered by the thick forest of coconut and mango trees. The beach is located in the west of the island where divers might find pieces of antique porcelain scattered around a sunken ship. Roi island is the second closest island in the south of An Thoi town. In the near future, this island will be like Vinpearl Resort off the coast of Nha Trang containing the luxury hotels and water sports arenas. These big plans are about to carry out so let’s get there before the developers move in. The coral reefs here are very beautiful where squid and shrimp live in. The third island out from An Thoi town is Pineapple island or Hon Thom. This is the largest island in the archipelago with two 100-meter-high hills in the northern and southern tip of the island. This island has its own harbor and native residents. It is one of the busiest islands in the archipelago which is permanently cloaked with blue fishing boats. The island is also very famous for tourists because of its beautiful tropical beaches and gorgeous coral reefs. The luxury resorts are about here in the near future. Xuong island or Hon Xuong is a small island in the south of An Thoi archipelago. Tourists can reach this island via a rented boat. Although the commercial boat tours promise that they will take you there, they rarely take you further than the third islands to save petrol. The islands in the south like Hon Xuong are extremely beautiful and special. The sea water is blue and clear that is very suitable for diving but the dive centers rarely do trips there because of its far distance. The coral reefs here are extremely more gorgeous and lusher than anywhere in the islands. The best way to visit the island is self-adventuring. If you are on a tight budget, you should find a group of friends or create a group of new friends to join. It is safer and cheaper. Besides that, there are a lot of small islands with colorful names such as Vong island, Hon Vang (Echo island), Kim Quy ( Golden Tortoise island), Hon Mong Tay (Nail island), Dan island, Dua island, Muong island, Gam Ghi island, May Rut island, etc. Such an appealing place to visit. If you concern more about Phu Quoc tours, you can visit our website. Do not hesitate to contact us if you have any questions. Share this article with others if you find it helpful. Thank you!